This week has been a particularly intense one regarding natural disasters. 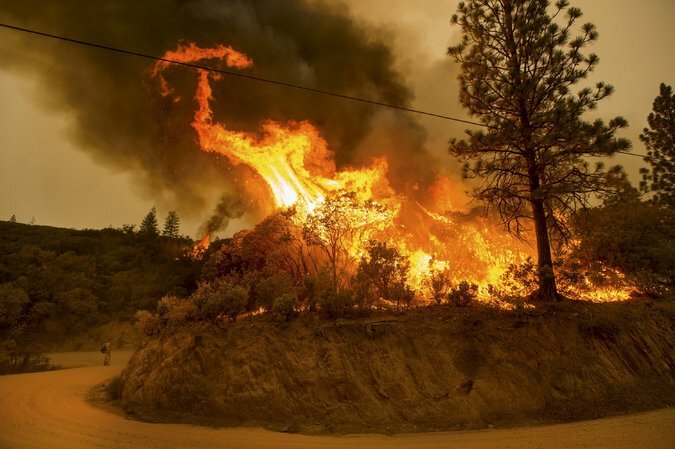 Wildfires keep burning across western U.S., with over 700,000 acres affected in California. This is 200.000 more than the typical 500.000 acre from previous years. With a serious draught problem, vegetation quickly turns into kindling which catches and spreads fire easier. Given the climate change temperatures are expected to increase 2 degrees in years to come, escalating the draught problem as well. At the same time, more rain is expected in areas where precipitations are already a problem. Climate models predict that the addition of heat-trapping gases in the atmosphere will shift precipitation in two main ways. The first shift is in a strengthening of existing precipitation patterns. This is commonly called "wet get wetter, dry get drier." Warmer air traps more water vapor, and scientists expect that additional water to fall in already wet parts of the Earth. "But because precipitation has to be balanced by evaporation, we expect a [corresponding] increase in dry regions," Marvel said. The second shift is a change in storm tracks, which should move away from the equator and toward the poles as atmospheric circulation changes. Incidents such as the flood that killed seven people in Utah's Zion National Park are likely to occur with more frequency and even start affecting areas where they didn’t occur before. This can be particularly dangerous because it means people that simply aren’t used to dealing with these kind of natural disasters will get caught off guard. At the other end of the American continent in Chile, an 8.3 magnitude earthquake killed 11 and forced the evacuation of a million people. So folks, a couple quick points come to mind. 1) Be prepared. Natural, and yes, manmade disasters are nothing new. They happen all the time so you need to be well aware of the potential threats in your area. 2) Stay informed! Know what’s going on around you. In many cases people get into trouble because they simply didn’t know any better. 3) Have your kit ready. Everything from your car kit, everyday carry bag, EDC and even the clothes you wear should all be geared towards preparing for the most likely events in your area.